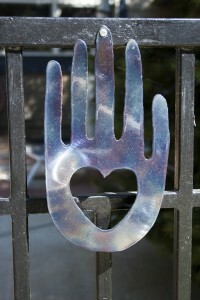 Welcome to the website for Hands with Heart, my bodywork business! My name is Sally. I am a certified massage and craniosacral therapist whose private practice is located in Longmont, Colorado. My location is convenient for clients who live and work anywhere in Longmont and its neighboring communities of Berthoud, Boulder, Erie, Firestone, Frederick, Loveland, Lyons, and Niwot. If you have questions or want to schedule a session, you may call or text me at 303-725-6136 or email me at sally@massagebyhandswithheart.com. Please note, I work by appointment only and am typically not available on short notice.